This was Newt’s old district, designed then and now to ensure that Republicans held it. Then came a dynamo named Lucy McBath. Things are changing. This is, frankly, not the column I expected to write today. After all, the pundit class—myself included—focused on big ticket gubernatorial and U.S. Senate races. Flipping the House was a forgone conclusion. Democrats won some close races and lost some others. The results, in so many cases, mirrored conventional wisdom. That is to say: There were few surprises. And then came Lucy McBath—a 58 year old Joliet, Illinois native and Atlanta transplant. A single mother and retired Delta Airlines flight attendant, McBath first made national headlines after the shooting death of her son Jordan Davis, who was unarmed, as he sat in the backseat of a friend’s car in 2012. She had never thought about running for public office before, she is quick to say, but McBath would tell you that something in her changed when she was forced to bury her son. Almost overnight, she became one the nation’s most recognizable gun control advocates. That notoriety, along with a healthy dose of elbow grease, helped her win Georgia’s 6th congressional district. The incumbent, Karen Handel, conceded the election Thursday morning. It was a stunning upset. McBath managed to do what Jon Ossoff could not in last spring’s closely watched special election: Turn out just enough Democrats and swing voters to flip an otherwise red-leaning district. McBath’s experience as an activist certainly proved valuable as she campaigned door-to-door. She had next to no money, and Handel walked in as an experienced campaigner who previously represented parts of the district as a Fulton County commissioner and as a former Secretary of State. Handel all but trounced Ossoff, who did not live in the district and declined to make a second bid, in the special election to replace Tom Price. It should be said that while Ossoff avoided gun rights issues, McBath embraced her role as a grieving mother who simply wanted reasonable reforms. Handel attempted to paint her opponent as an extremis, who was out of step with the good people of the north Atlanta metro. Even though McBath was polling ahead by a few points as Election Day approached, few thought she would actually win. You see, as Andrew Gillum learned in Florida, the “Bradley Effect” is still real, 40 years after Tom Bradley ran for governor of California. Just as there are some people who will not tell a pollster that they favor Donald Trump, there are others who will publicly say they intend to vote for a minority candidate when they fully intend to pull the lever for their white opponent. Bernie Sanders is right when he says that white people sometimes have trouble voting for African American candidates, even if they agree with them on most of the issues. Maybe that had some impact on the McBath-Handel race. But what we know for sure is McBath could not have won the right-leaning, majority white district without getting votes across racial, cultural and partisan lines. In the end, the race was razor close. Both women went to bed Tuesday night separated by just 75 votes, knowing the race wouldn’t be decided until at least sunup. Now, as of this writing, the dust has settled, and McBath won by more than 2,000 votes, or one full percentage point. There is a certainly a tasty bit of irony that a previously unknown African American woman rose to the national spotlight, quickly emerged as a leader on gun safety issues and will now take former House Speaker Newt Gingrich’s seat. It says something that Georgia’s 6th congressional district was drawn specifically for Gingrich and its lines adjusted over the years to maintain it as a solidly Republican district. The Atlanta metropolitan area’s ever-shifting demographics all but guaranteed that the 6th would one day be a swing district and then become solidly blue over time. The fact is that more African Americans and Hispanic families are fleeing the city limits for the suburbs where taxes are lower and they can get more bang for their housing buck. It took a coalition of white, black and Latino voters to put McBath in Congress. I have worked in and around Georgia politics (or covered it as a journalist) for nearly half of my life. Eons ago (er, in the mid-80s), when I was in high school, the City of Roswell was practically all-white. Heck, I didn't even know that Alpharetta, Georgia existed until I was 25 years old. Both of those north Fulton County towns are decidedly more diverse today, even if they remain predominantly white, than they ever have been. Then, too, Cobb and Gwinnett Counties—two of the most populous in the state— were once conservative bastions. In fact, no statewide contest could be decided without them and they were the reasons the GOP maintained a lock on statewide offices for the last two decades or so. For Republicans, winning there and in rural areas meant mopping up the state. Hillary Clinton won those counties in 2016, and that shocked a lot people—at least people who haven’t ventured outside of the I-285 perimeter in a good long while. Stacey Abrams carried both in her race for governor, and those votes may spell the difference between a narrow loss and a Thanksgiving run-off. Part of the reason why McBath did so well is the strength of the Abrams machine. While McBath ran a strong campaign in her own right, it’s clear that having Abrams at the top of the ticket drove the energy necessary to put her over the top. 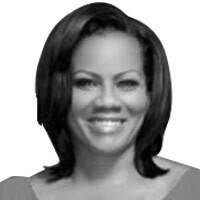 Abrams may not have won the governor’s race, but she was a major factor in the McBath win. But given the fact that Clinton carried that part of the metro in 2016, it was probably a bad idea for Handel to attempt to use the former Democratic nominee as an albatross. It was a mistake, just as was trotting out Michael Bloomberg’s name. The former New York mayor isn’t exactly a boogeyman in the north metro-- the largest concentration of wealth in the state. Handel seemed to think she was running in deep red, rural Georgia and not the decidedly more affluent, better educated 6th district. Then too, there was something telling about Handel skipping out on a chance to campaign with Donald Trump. He isn’t exactly a fan favorite in the north metro, where college degrees and six and seven-figure mortgages are not uncommon. In those well-manicured subdivisions, our nation’s Blowhard-in-Chief would have a difficult time filling up a high school auditorium. There’s a reason the president went instead to Macon, Georgia, about 80 miles southeast of Atlanta, where thousands showed up to greet him. In the final analysis, Handel had to know that she was always on “borrowed time” given the way the district is reshaping itself. Many thought Republicans could hold the 6th for at least one or two more cycles. Her loss now—and the potential for a statewide runoff between a white man and a black woman in the governor’s race-- is confirmation about who we are becoming in Georgia. If there is a lesson today for Republicans, it is this: You cannot draw your way out of every dilemma. UPDATE: Handel beat Ossoff in last spring's special election 51.9 to 48.1 percent.